Fourth of July Treats | K.I.S.S. 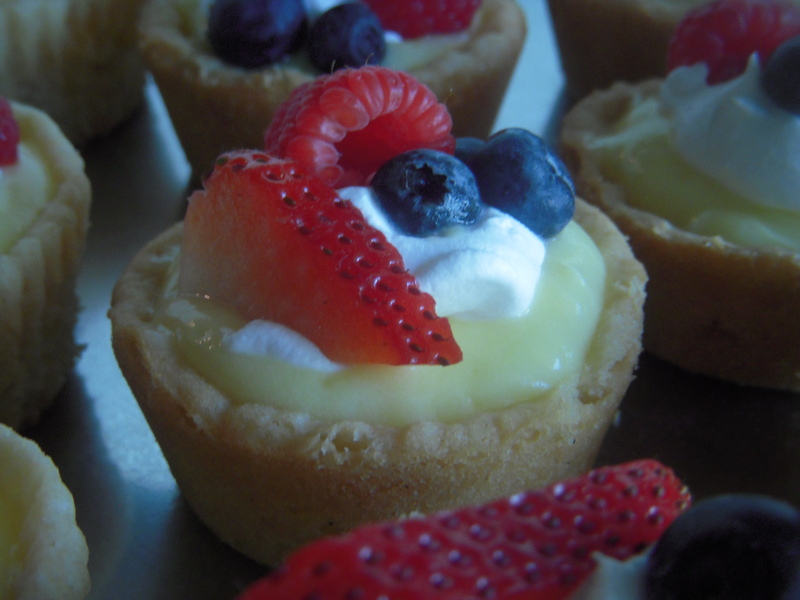 Try these Fourth of July Treats anytime!! I always love to take advantage of a theme when it comes time to decide what to bake-red, white and blue!! However, these sugar cookie pudding cakes would be a hit anytime. Preheat oven to 350. Spray a 12 cup muffin tin with nonstick cooking spray. Slice the sugar cookie dough into about 1/2 inch slices and shape into muffin cups to form a crust. (tip- keep your fingers damp to prevent sticking) Divide the dough evenly among the 12 muffin cups. Bake for 15 minutes. Remove crust from oven and reshape, pressing gently back into the crust shape. Return to oven and bake for about 5 more minutes. Let cool completely. While crust are cooking, make pudding according to package directions. Once crust are completely cool, use a knife to loosen crust from muffin tins. Transfer the crust to a platter. Fill each crust with the pudding. Top the pudding with 1 tsp. of cool whip. 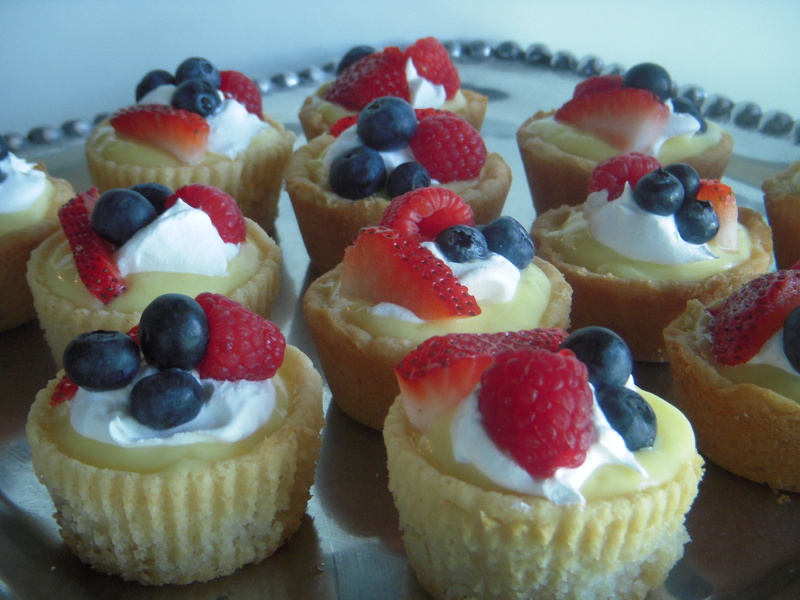 Decorate each with blueberries, sliced strawberries and a rasberry. Enjoy!!! I hope you all had a happy Fourth!!!!!!! They were de-lish! Thanks for all the cookin!